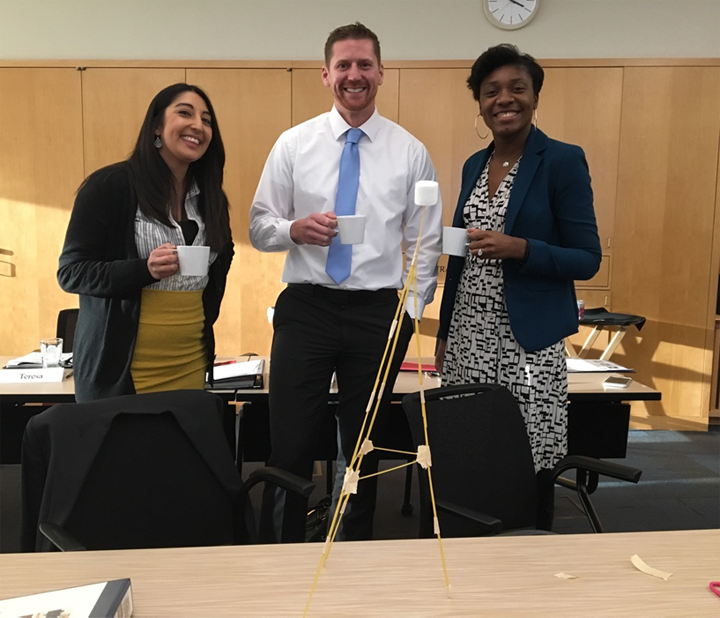 Teammates and fellow academy participants, Rebecca Garza, Joseph Lightner, and Crystal Everett bond over coffee after completing a spaghetti tower exercise during an academy workshop. The power needed to improve health doesn’t come from individuals alone, but from changing the system in which we live. Our old modes of operation, the system which we uphold, simply hasn’t worked. Life expectancy hasn’t improved much in the last 50 years. In some places (our most marginalized communities) people are actually dying younger than their predecessors. Innovation is critical to moving from the status-quo to a more progressive, informed health system. Yet, working together in an innovative space requires a new set of skills. These skills weren’t taught in my MPH or PhD programs and I’m guessing they weren’t taught in your college experience or job training either. They are the skills often overlooked in performance reviews and by funding agencies. Learning to change systems is tough and often thankless. 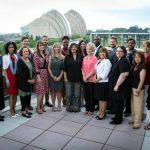 However, the Healthy Communities Leadership Academy provides an environment where individuals learn the skills required to do this messy and productive work. 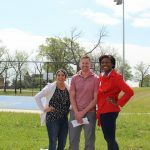 To change the system of health in KC, it will take all of us. Safety-net providers, private hospitals, public health departments, planners, and engineers will all be called to lead. If we’re going to improve life expectancy and reduce mortality and morbidity, we have to find a way to work together collectively, and that means understanding the true tenants of leadership. Our skills individually are strong but have been shown to be insufficient in making meaningful strides toward improving the lives of residents in Kansas City. A physician can only treat one individual at a time. A statistician can only create so many reports in a day. This year is the time to push yourself and your organization to think more upstream. Now is the time to think about changing policies and structures of your organization or to engage with others to change policy for the cities or states that we live in. Where do you start? By applying to take part in the Academy. This is your opportunity to learn, be innovative, and lead. Join us in honing your leadership potential and fighting for health.